Durham Record Office held an exhibition of its original documents relating to slavery, the slave trade and abolition. These include reports, maps, and a number of letters, from, for example, Sir John Shaw Lefevre (Under Secretary for the Colonies in 1833), the abolitionist James Stephen and the prominent Quaker activist Josiah Forster. The exhibition was displayed in the Record Office and toured several venues in the region. It was also used for inspiration by members of Jackass Youth Theatre, who produced the play Sharp Practice after visiting the Record Office and consulting some of the original documents on display. 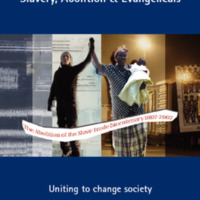 The official publication from the Evangelical Alliance to commemorate the bicentenary had three main aims: to draw attention to biblical perspectives on slavery and society, to examine the contributions of some key abolitionists, and to offer some suggested activities for churches and groups to mark the bicentenary. 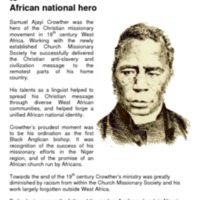 Samuel Ajayi Crowther was Britain's first Black Anglican Bishop. He was born in Yorubaland, part of modern South Western Nigeria. After being enslaved, he was rescued at sea by the Royal Navy and began his missionary education in Sierra Leone. Crowther studied in Islington on two separate occasions: first, at St Mary’s Parochial School, and later, at the Church Missionary Society College on Upper Street. He was ordained at St Mary's Church in Upper Street before returning to Africa to begin his missionary work. His ordination as Bishop was in recognition of the success of his missionary efforts in the Niger region. His life, and connections to the London Borough of Islington, were the subject of this exhibition at Islington Local History Centre. The Centre for Contemporary Ministry (CCM) is an educational charity specialising in the study of contemporary social issues. The CCM established a slavery exhibition at their base, Moggerhanger Park in Bedfordshire, once country home of members of the Thornton family, cousins of William Wilberforce. A mobile travelling display toured local venues. ‘Free at Last?’ was also part of the Spirit of Wilberforce project. 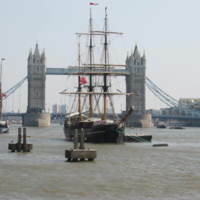 This initiative saw a replica of the 18th century slave ship ‘Zong’ sail into London on 29 March 2007. The replica ship was accompanied up the River Thames by HMS Northumberland as part of the Royal Navy’s contributions to the bicentenary. The ‘Slavery Past and Present’ exhibition on board the replica was opened by the Mayor of London – a virtual reality display depicted conditions on a slave ship. The exhibition continued at the church All Hallows by the Tower, exploring the work of the abolitionists and the legacy of slavery. HMS Northumberland also opened to the public - an exhibition on board explored the role of the Royal Navy in enforcing the 1807 Act. In conjunction with York Theatre Royal, Riding Lights Theatre Company produced a new play written by Murray Watts, directed by Paul Burbridge, with original music by Nigerian musician Ben Okafor. 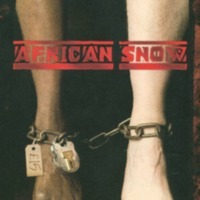 African Snow: Secrets of the trade was originally commissioned by the Church Mission Society, an organisation founded in 1799 by representatives of the abolition movement, including William Wilberforce. 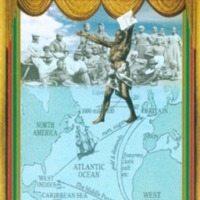 The play sought to explore the ideas associated with antislavery and how they can be put to use in the modern day campaign for the end of slavery. Opening at York, the play went on to have a West End Transfer followed by a national tour. The main characters are John Newton, the converted slave-trader who later wrote 'Amazing Grace', and the former slave and abolitionist Olaudah Equiano. The play saw them confronting each other’s differing perspectives, creating a dialogue in which the audience could witness alternative views towards slavery. A 'snow' was a class of ship, commonly used for the transportation of slaves. 'The African' was the first slave ship on which John Newton sailed. 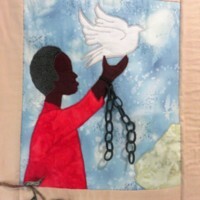 The Abolition of Slavery Quilt was created to commemorate the bicentenary by the Freedom Quilters of Wisbech, a community group with an interest in patchwork and quilting. The quilt is made of several panels, one of which depicts the Thomas Clarkson memorial in Wisbech town centre; other panels stress the link between Christianity and the abolition of the slave trade. It was displayed at Wisbech Baptist Church at the Annual Rose Fair in July 2007. The Rose Fair Flower Festival raises money for charity, and in 2007 had a theme of 'Heroes of Freedom'. The quilt was also loaned to Peckover House, a National Trust property in Wisbech. It remains on display at Wisbech Baptist Church. Set All Free: ACT TO END SLAVERY was a project of Churches Together in England, based in London. 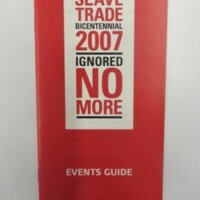 It was also a collaboration between church-related groups, societies and organisations around the UK working together with a Christian ethos to assess the relevance of the bicentenary, and in particular the legacies of slavery. The project aimed to highlight how the values of the abolitionists can transform relationships on an individual, community and society level. The project included building a network coalition, campaigning, producing research and resources for churches, schools and individuals. 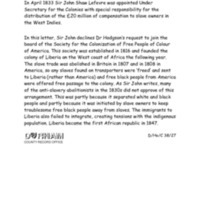 Set All Free also worked closely with Anti-Slavery International and Rendezvous of Victory, a leading African community-led organisation. 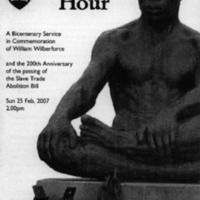 This project was the Church of England’s official response to the bicentenary, as CMEAC (established by the Archbishops’ Council) explored the Church’s multi-faceted role in the history of slavery in Britain. Making our Mark focused on connections with local communities, opening access to heritage, and raising awareness of the legacies of slavery. The project had two main strands. 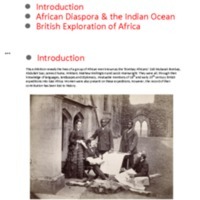 The first was a set of regional dialogues – the Bicentenary Hearings – which represented local opportunities for discussion about experiences of slavery, as a way to make new connections between past and present, education and action. The Hearings took place in Liverpool, London, Birmingham, Hull and Southwark in February and March 2007. The second strand was the Walk of Witness, a heritage trail through London on 24 March 2007. 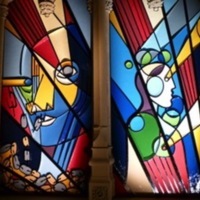 Participants included government representatives, leaders in the Church of England, social justice organisations, ecumenical and multi-faith partners, and schools. A pack was produced for schools, including a DVD with footage from the Walk and Hearings. The Lifeline Expedition began in 2000 as a reconciliation journey linking the European and African nations. 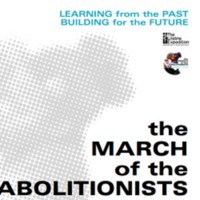 The March of the Abolitionists was organised for 2007, aiming to bring an apology for the slave trade (especially the role of the church); to promote understanding of slavery and abolition by engaging with schools and the media; and to remember black and white abolitionists of the past, and of current campaigns. For the first stage in March 2007 (the Meridian Walk), a group of walkers included Africans and descendants of enslaved Africans, while white people from the former slave trading nations wore yokes and chains on their 250-mile journey from Hull to London. In the capital they joined the Walk of Witness at Westminster, led by the Archbishops of Canterbury and York. The second stage of the march (the Sankofa Walk) linked the former slave ports of London, Liverpool and Bristol in June and July 2007. 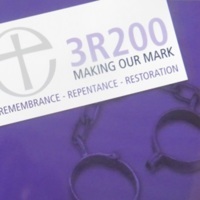 Action of Churches Together in Scotland (ACTS), which brings together nine Scottish denominations, marked the bicentenary with the Scottish Ecumenical Service to commemorate abolition held in the David Livingstone Centre in Blantyre in June 2007. 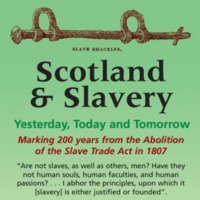 The group also published a leaflet, ‘Slavery and Scotland’. On 25 March 2007, a commemoration walk was organised in partnership with the National Trust for Scotland. The walk started in Musselburgh and ended at the Gardens of Inveresk Lodge, once owned by James Wedderburn, who made his fortune as a slave owner in Jamaica. His son, the Jamaican-born Unitarian radical and anti-slavery advocate Robert Wedderburn, came to Musselburgh in 1795 to visit his father, but did not receive a good welcome. 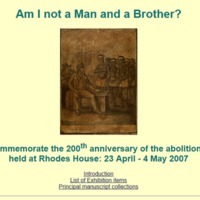 ACTS also set up Freedom for All, a website project to mark the bicentenary. The website was intended to be a hub of resources and information on the impact of slavery, slave trade and abolition on Scotland.